Cocaine use has long been prevalent in our society. Known mainly as a party drug, cocaine is a white powder that is usually snorted or injected. It can also be inhaled through smoke or vapor or ingested orally. Cocaine produces a feeling of euphoria in the user, but the body quickly builds up an immunity to it, meaning that it takes more and more cocaine to produce a similar high to the first one experienced. 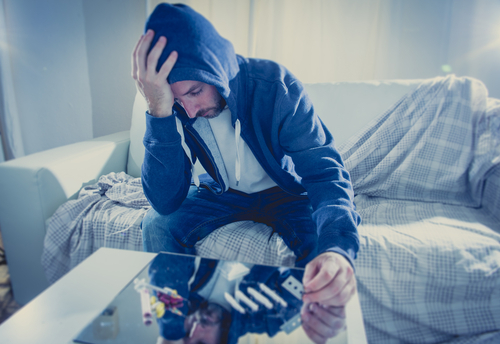 Addicts spend the rest of their lives seeking, but never reaching, that same high. Cocaine causes damage to the brain, heart, and lungs. It can cause death from respiratory failure or brain damage, as well as from heart attack or other heart problems. Cocaine is a drug used by all ages and social circles. It is used by young and old alike. There are many people who are addicted to cocaine and use it whenever they can get it. There are many others who use the drug socially, usually on the weekends when hanging out with friends or when attending parties. The feeling of euphoria that cocaine brings on makes these times seem more fun (temporarily,) and users reason that since they only use on the weekends, they are not addicted and it is not a problem. A recent study done in Australia demonstrates that this idea is false. A person who uses cocaine socially is still doing serious damage to their body, and specifically to their heart. The study showed that cocaine use stiffens arteries, raises blood pressure, and thickens the walls of the heart, making it weigh more. These are all factors known to increase the risk of a heart attack. In fact, many cocaine users die from heart-related trouble. Social cocaine users often assume that they are not doing damage to their bodies because they do not think of themselves as addicts or “typical” drug users. They are often educated, well-to-do individuals who think of cocaine as something fun used to enhance their recreation. They aren’t on the streets, living for their next hit. How could they possibly be in the same category as a drug addict? The reality, according to this study, is that a social cocaine user is at a much higher risk of heart attack than a non-user. Cocaine is the second most commonly used illegal drug in the world. The reason for this is that it interacts with the pleasure centers in the brain, creating an artificial but powerful feeling of euphoria. This is followed by a swing in the opposite direction. When the effects of cocaine wear off, the person is left in a depressed state and craves more. They can become anxious and antagonistic and will seek out more of the drug to stave off these feelings. When used by itself, cocaine is destructive and even deadly. Unfortunately, even social users often mix cocaine with other substances such as alcohol or other illicit party drugs. The combination can prove fatal. A social cocaine user is playing with fire and often doesn’t know it. They are taking their life in their hands for the sake a few moments of heightened pleasure. It is certainly possible to have a great time without chemical enhancement. If people were truly educated in the harmful effects of social cocaine use, it is doubtful that so many would succumb to the temptation. It is important to spread the word about the harmful effects of even occasional cocaine use. You could save someone’s life with this important information.